Ceylon, today´s Sri Lanka, also known as Serendip, the island of lucky coincidences! Dive into the waves of the Indian Ocean, swim with turtles and let the sun warm you. 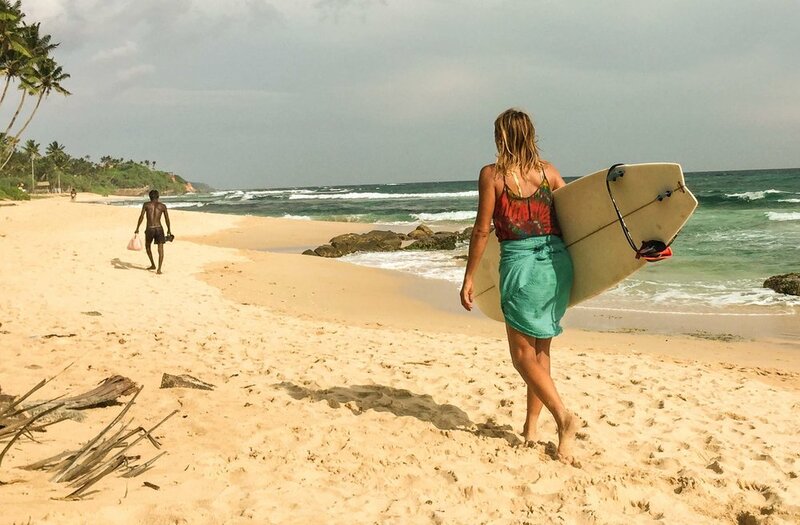 We head to Midigama, a small surf village at the tropical south coast of Sri Lanka! In addition to the daily Yoga practice you have the opportunity to power up in the waves right in front of your doorstep and to experience the beautiful surroundings and the hospitality of Sri Lanka. Sri Lanka means “the radiantly beautiful country” - and it lives up to its name! The small island impresses with its cultural diversity, kindness, white sandy beaches, lush green jungle landscapes and impressive temples. You can expect a week full of Yoga, sunshine, soul food, smooth waves and beautiful Sri Lankan culture! 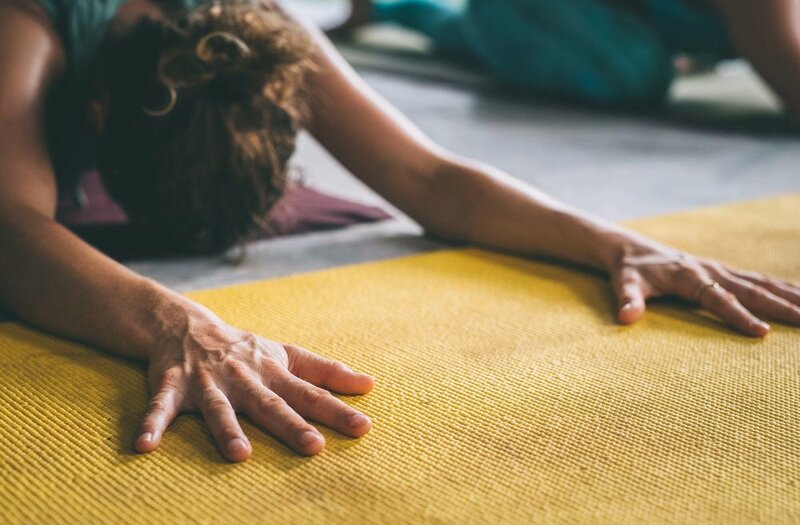 The Yoga practice can be dynamic and powerful as well as relaxing and meditative (Vinyasa, Hatha & Yin Yoga) – depending on the daily program and time of the day and it is suitable for all levels. Moreover, the Yoga & meditation practice supports your inner alignment. It gives you ease and calmness, and at the same time new gives you energy to test the gentle waves on the coast or to get to know the unique culture of Sri Lanka. The yoga classes prepare you perfectly for surfing. The coordination and balance exercises on the mat help you to train your sense of balance on the board. Besides, the yoga practice improves your body awareness, your body tension and your flexibility. The yoga postures strengthen and stretch exactly the muscles you need for surfing and vice versa. Hence, Yoga and surfing complement each other perfectly! In addition, the breathing techniques practiced during the lessons will help you to increase your lung capacity and to maintain a deep and calm breath even in stronger waves. You will gain an incredible mental strength - which will accompany and enrich you from the Yoga mat, into the waves and back into your everyday life! Each day differs a little bit from the other - depending on the daily program and weather. In between the individual activities you have free time. Surfing, swimming, relaxing in the surf lodge or exploring the surrounding area - you will definitely not get bored! All offers are of course optional and voluntary and can be chosen according to your mood. Good, healthy food is important to us! The delicious Sri Lankan cuisine, is linked to the Ayurvedic nutrition philosophy and will give you the necessary energy boost. You can expect healthy wholesome and varied food (local & european), which will indulge your taste buds. A glimpse into the secrets of Ayurvedic cuisine is provided by a cooking class that is part of the programme! The dishes are predominantly vegetarian and vegan, according to yogic philosophy, in harmony with human beings and nature. Moreover, you can order fresh smoothies, juices and the best organic coffee as well as small snacks in the in-house café in between the meals. 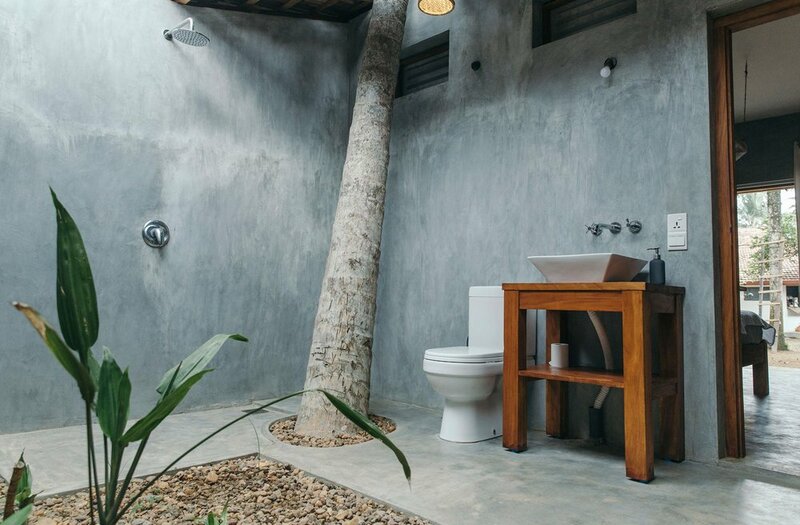 Jamu Surf Lodge in Midigama / Gurubebila - Sustainable lifestyle in a green oasis. 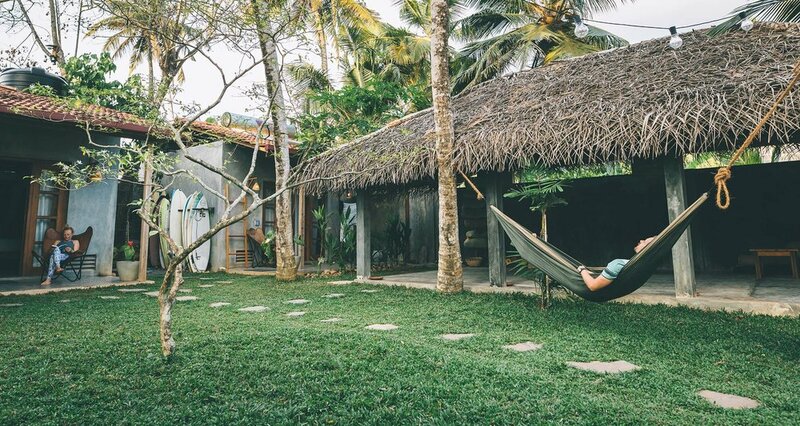 The family-run Jamu Surf Lodge is located in Gurubebila, a small part of Midigama, which is about 140 km from the capital, Colombo. Right on the doorstep is a beautiful bay with a long sandy beach, waiting to be explored by you. The Surf Lodge with its lovingly designed bungalows, invites you to relax and unwind. The perfect place to leave everyday routine far behind and relax in the cozy hammocks. With the Swedish-Sri-Lankan team around the Jamu Surf Lodge you are in loving and dedicated hands, who take care of your well-being! * The other evenings will be spent at great spots outside of Jamu, sampling the island's culinary delights or enjoying a sundowner at one of the other beautiful surfing lodges or cafes. The airport transfers from and to the airport are done individually. It takes about three hours by car from the airport to Jamu Surf Lodge. A taxi can be organized by Jamu. If you want to travel a little more adventurous, you can choose to catch a train or bus to Midigama. The retreat is suitable for beginners and advanced yogis and surfers! You do not have to be very athletic or experienced. The number of participants is limited to 10 people, so you will spend a week in a very personal setting. I´m available before and during the retreat for questions and wishes, so that you can completely relax and lay back. For more than ten years , I have been returning to this piece of earth for several months to live, work and, above all, enjoy. Also, last winter I spent four months teaching yoga and surfing in the places Unawatuna (Surf Spirit, Yoga & Surf Retreat) and Midigama (Baba's Surf House). I like to share my island experience gained over the years with you and show you some hidden spots of happiness!